I have never been one to take shortcuts in life, but I do abide by a philosophy which says ‘why work hard, when you can work smart’. This mantra holds especially true when I have had a hard long day at work and can’t be bothered cooking. 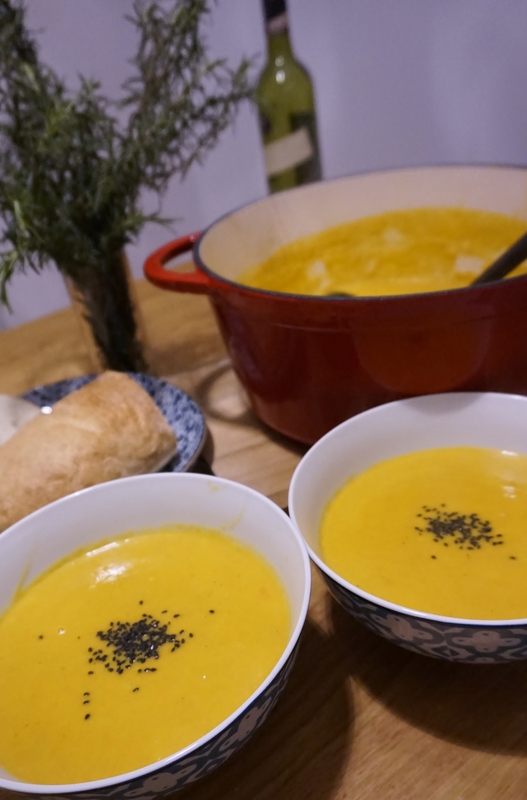 While we all want our family and friends to think all the meals we prepare for them are a labour of love, wouldn’t it be nice if you could focus on adding more love and a little less labour in your everyday cooking. On a recent trip to Adelaide, one of the pantry ingredients in my mother in law’s kitchen has changed my culinary world forever! 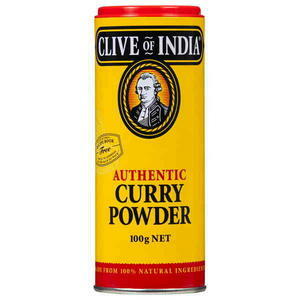 Clive of India Curry Powder!!! Of course in my Indian spice repertoire there was no such thing as curry powder. 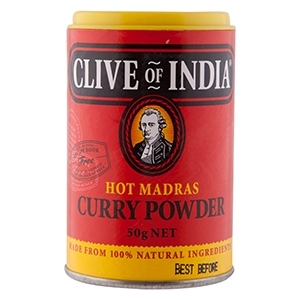 Talk about British efficiency they took our gazillion Indian spices, combined it into one and unashamedly called it Clive of India. Besides the curry powder, here’s a little bit of a History lesson for you, Clive of India also known as Major General Robert Clive is credited with securing India, and the wealth that followed, for the British crown. The growing awareness and love of Indian food has meant that more and more people are buying spices individually, mixing them themselves for curries and to be truly impressive, grinding the spices and herbs themselves too in a mortar and pestle. This is definitely the right way to make a curry, but on weekdays when most of us are working on reserves there should be no embarrassment in choosing convenience without compromising on flavour. This curry powder offers just that! So what exactly does the curry powder entail? There are two varieties – one the traditional curry powder which uses 11 different herbs and spices, such as, coriander, turmeric, fennel, black pepper, cumin, chilli powder, fenugreek, garlic granules, ginger and salt. 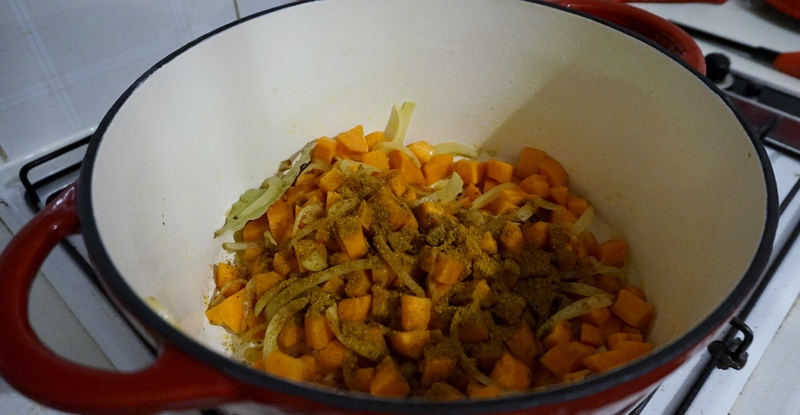 The other one is the hot madras curry powder which has a bit of a kick to it and in addition to the spices in the traditional curry powder this includes cloves, cardamom, cinnamon and nutmeg. 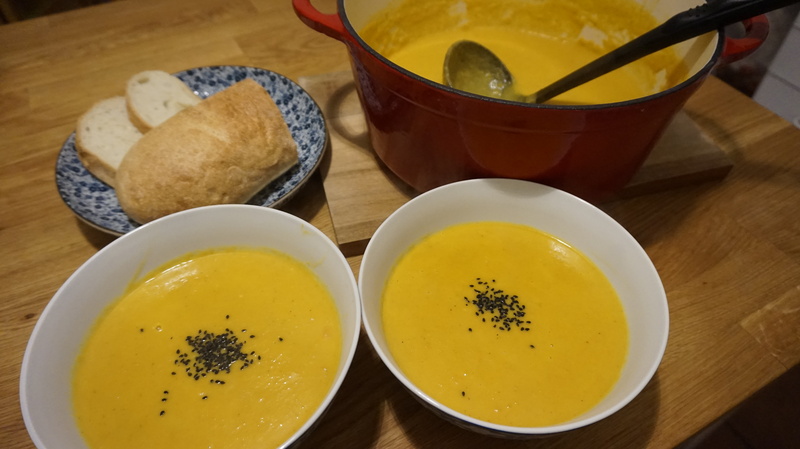 By now I am sure I have made you a Clive of India convert and if not then continue to read because I recently used this magic powder in a Carrot Soup and it worked a treat. In a large saucepan heat olive oil. Add the onion and bay leaf and cook until onions are translucent. Now add the garlic, cook the mixture for three to four minutes on a medium heat or until aromatic. 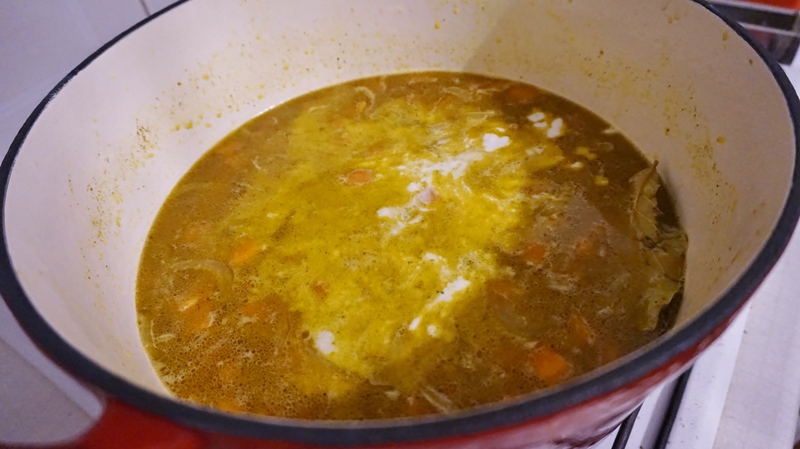 Add the carrots, hot madras curry powder, vegetable stock cube (you can replace this by using liquid vegetable/chicken stock instead of water) and season with salt as required. Place a lid on the pan and cook the carrots on a medium heat for seven to ten minutes. Now add one litre of water followed by the coconut cream. The coconut cream goes really well with the curry powder and elevates the flavour of this dish to a whole new level. If for some reason you don’t like the coconut flavour you can use normal cooking cream or even milk. Once again coven the saucepan with a lid and let the soup simmer for 15 to 20 minutes. Finally using a stick blender blend the soup until smooth and creamy. I have garnished it with toasted black sesame seeds, you can also use fresh coriander, crispy shallots or just a swirl of cream as a garnish. 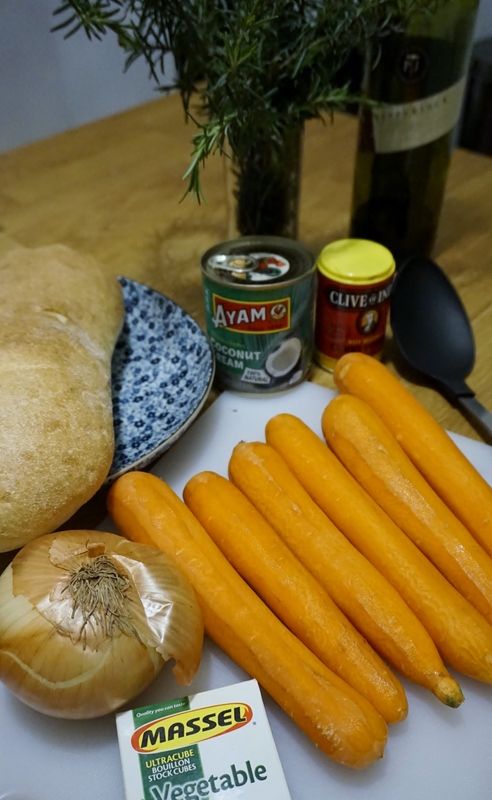 Serve this lip smackingly delicious winter warmer with some crusty bread. Dig in and watch your winter blues vanish away.